Here's an easy and very healthful snack recipe! I'm not a big fan of cauliflower, but I love these roasted cauliflower bites with garlic and Parmesan! Preheat oven to 450 degrees. Remove the core from the cauliflower and cut into florets. In a large bowl, toss the florets with olive oil. Add the salt, pepper, garlic powder, and Parmesan cheese. Toss well until the spices cover the cauliflower. Turn out onto a large baking sheet. 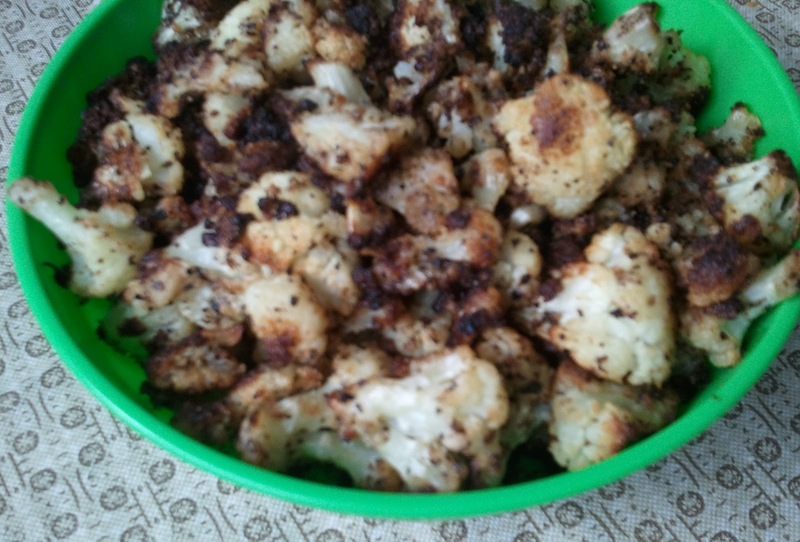 Roast at 450 degrees for 25-30 minutes, turning cauliflower every 5 minutes, or until nicely browned. Your cauliflower looks so yummy! I really like the way roasting makes some veggies taste so different than steaming, and cauliflower is especially good. It really is frugal, too!